How Far is VRB Sai Kshetra? 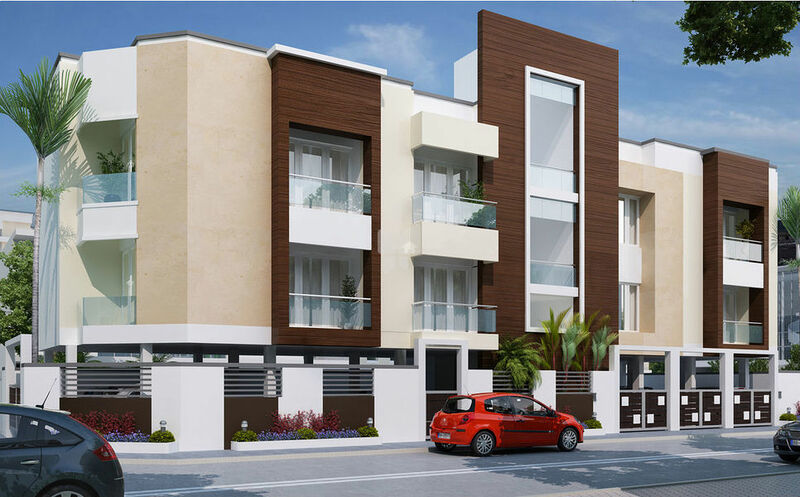 Luxury apartment project VRB's Sai Kshetra has Two floors to it with 4 apartments including Two 2BHK apartments and Two 3BHK apartments. The apartment is spaciously designed with an view to give you the luxury of space. Including the best in class facilities like Video Door Phone Security, Inverter Provisions, Balcony with Grills, Windows UPVC Sliding with Mosquito Mesh, Elder Friendly Toilets and Lift with Covered Car Parking for all the apartments. Other prominent features are, ocated as a corner property with road access on two sides and with connection to major roads at walk-able distance, cinemas, Shops, Banks & other all other facilities are readily available at walking distances, just 100 mts from the St.Johns School, MRTS Station by & MTC Bus Routes available at walking distance. Main Door – Merline Teak Wood Door with Teak Wood Frame with Brass Locks along with Grill Door. Other Doors Good Quality Treated & Seasoned Wooden Frames with Flush Doors. UVPC Windows (SLIDING) with Mosquito Mesh. All Rooms – 2’ x 2’ Vitrified Tiles Flooring. Ceramic Tiles up to 7ft height in Bathroom Walls. Anti Skid Ceramic Tiles for Bathrooms, Balcony and Utility Areas. Staircase & Lobby with Anti-skid tiles/Marble/Rough Granite. White Wall Mount with Concealed tank make - Parryware/Roca or Equivalent. Chromium Plated fittings (Parryware or Equivalent). Wash Basin in Attached Toilet Only (Parryware or Equivalent). Washing Machine Provision & One Tap in Service Area. Good quality ISI PVC pipes. PVC Pipes for all Cold Water Lines & CPVC for all Hot Water Lines. Cooking platform with Granite slab 2ft Width. Ceramic Tiles over cooking platform up to 2’ height. Two Taps (One for Bore well Water + Sump Water). Three Phase Supply – Phase Change Over Switches with Safe Trippers in Main Board. AC Point in Living and All Bedrooms only. TV and Telephone Points in Master Bedroom & Living Only. Geyser Points in all Toilets. 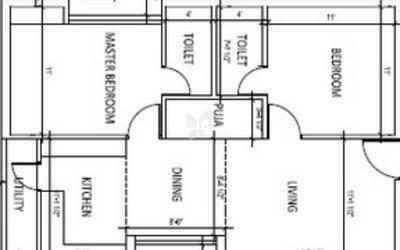 Exhaust Points in Toilets & Kitchen. Adequate Light points and Plug Points in every room. 2-Way switches in all Bedrooms Only. Inverter Provisions – Wiring for Inverter shall be done. Good Quality Asian/Nippon Paint for both Interior and Exterior Walls with preliminary DrFixit Rain Proof Coat. All Doors and Others (incl. Frames) Enamel Painted. Anti-Termite Treatment shall be done during stages of construction. Contracts have been undertaken successfully all over Chennai with the main area of concentration being the Adyar, Thiruvanmiyur and Thoraipakkam, which are easily serviced from our base in Adyar. Over the years the skills and management base of the company has grown and developed and our team of staff and managers has an enthusiasm, competence, and commitment unequalled in the industry. Competitive tendering, professional management, quality construction, an excellent safety record, a proven ability to meet exacting programs, and our co-operative and proactive approach, have ensured the satisfaction of Design Teams and Clients in the private sectors.